Welcome to the RHDJapan blog. In this blog listing we will be continuing on with our new style of discount that will be running randomly during the weekdays. This will provide an upfront discount of JPY500 for anything purchased on select brands with further possible discount when higher qty is purchased from each of the brands! 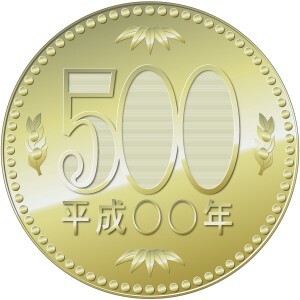 The JPY500 Coin, The 'Big Nickel' of Japan. A valuable coin just enough to get a quality 'One Coin' bento box lunch or beer and a snack. With the flat discount the discount is exceptionally larger as a percent for lower cost items. Discounts of up to 54% can be had on this offer! Adding more than one item of per brand may also qualify for further discount!